Great hotel, great location, great staff very friendly. Restaurant has goodvfood. Location was near a lot of sites. Very clean and luxurious feeling. 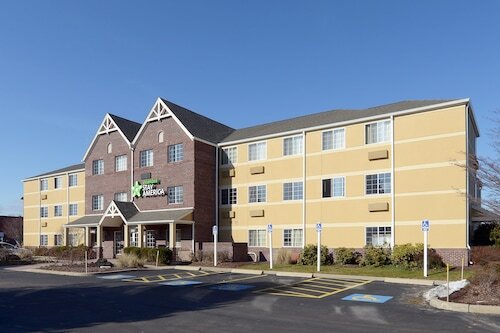 Proximity to the highway is an added convenience. Property is very easy to be located. The room was ready and very clean. The staff was very friendly and helpful! Close to the airport which made things very convenient for me. The property itself was clean, bright, and welcoming. I was disappointed at the lack of breakfast offerings however. This hotel has just had a stunning renovation. It was brand new when we stayed and it was really impressive. I loved the rich but young decor. My 2 17 year old sons loved it too. One of my favorite stays ever! Providence is the capital of Rhode Island, the smallest state in the United States. Within city limits, visitors find a thriving arts community, outstanding hotels, and access to activities ranging from walking tours, museums, historical landmarks, parks and cultural experiences. Visitor accommodations are plentiful. 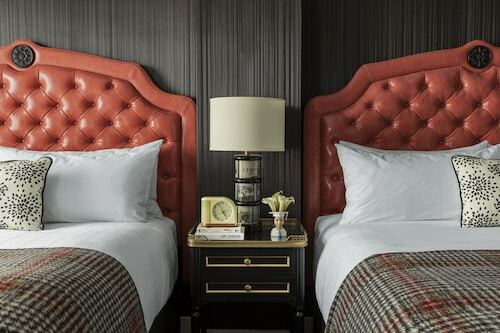 Hotels in Providence include at least 5,500 rooms available in cabins, bed and breakfasts, motels, hotels, and luxury suites. Providence is easy to find and difficult to forget. Rhode Island Convention and Entertainment Center Complex is comprised of the Rhode Island Convention Center, the Dunkin' Donuts Center, and the Veterans Memorial Auditorium. 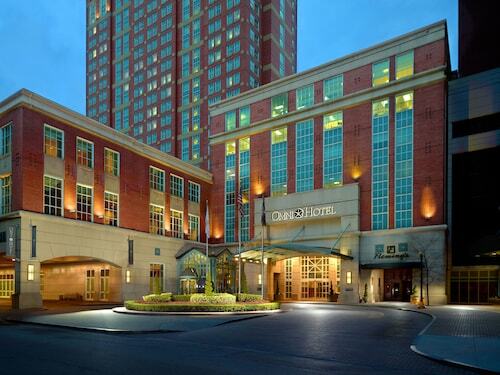 Events can easily be accommodated at one of these venues near Providence hotels. Providence is home to Johnson & Wales Culinary School, which graduates more chefs per person than any place in the country. Little Italy is a neighborhood sitting atop Federal Hill, famous for its zesty Italian dishes. The restaurant scene caters to international cuisine created to please any palate. The Providence Children's Museum is a fascinating hands-on exhibition geared toward children of all ages. Before leaving, visitors should experience Providence WaterFire, an award-winning display of bonfires floating above water on the three rivers in the center of Providence. The Providence Place Mall includes major retail chains and small boutiques, as well as restaurants and movies. The Dunkin' Donuts Center is venue of choice for the Providence Bruins (pro hockey) as well as Providence College and Brown University teams. Providence ranks among the top four locations for golf courses.